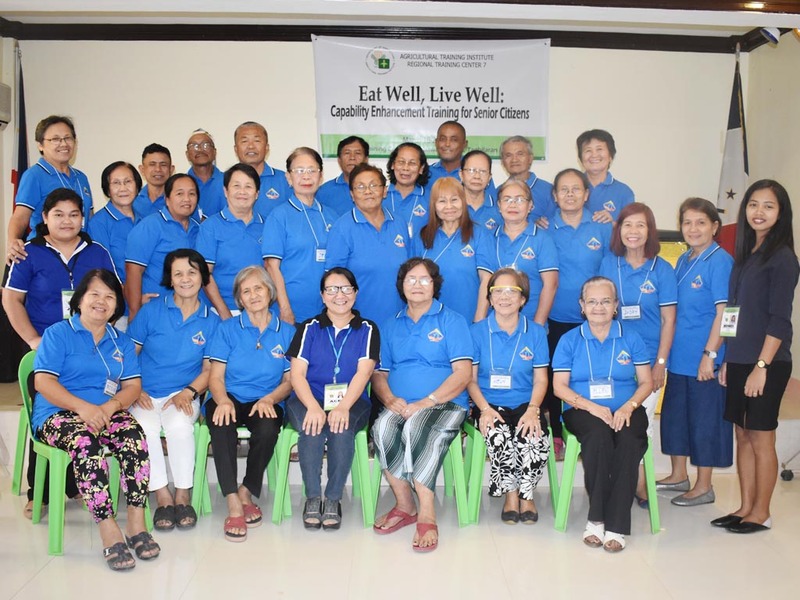 Hence, the ATI in Central Visayas held a three-day Capability Enhancement Training for Senior Citizens dubbed as Eat Well, Live Well last March 18-20, 2019 at Cabawan District, this city. Twenty-seven senior citizens from the different municipalities of Bohol participated the activity with the objectives of recognizing their role in nation building, learn their benefits and privileges; providing them healthy inputs on healthy practices that will encourage them to develop positive attitudes. The topics include Lifestyle Medicine, Health and Wellness with Dr. Mechelle Acero-Palma, Lifestyle Medicine Specialist of Remnant Institute of Alternative Medicine, Inc. (RIAM) in Iloilo City and Mrs. Evelina Leyble, Head of OSCA-Tagbilaran on the Roles of Senior Citizens in Nation Building, and Benefits and Privileges of Senior Citizens under RA 9994. Spearheading the three-day activity is Ma. Gracia Soliva-Pungay, Media Production Specialist II of ATI-7.